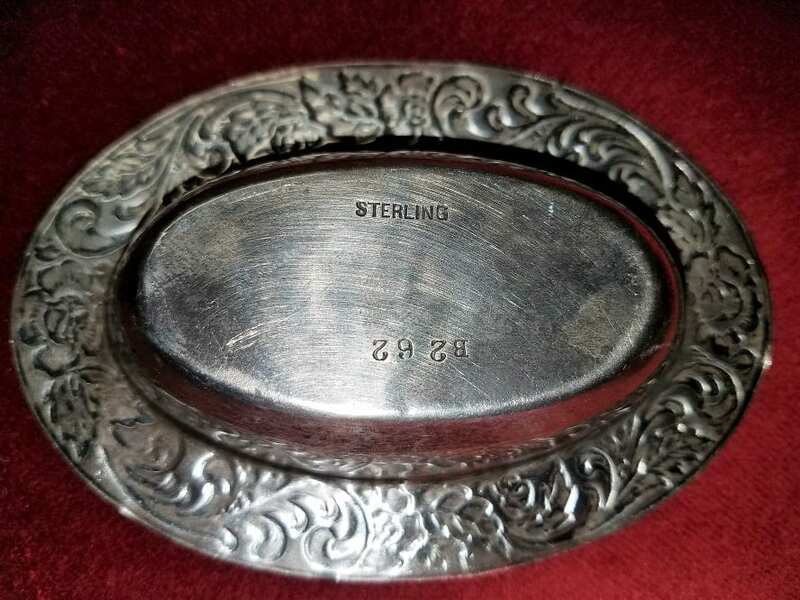 Vintage American Sterling Silver Ring Dish. 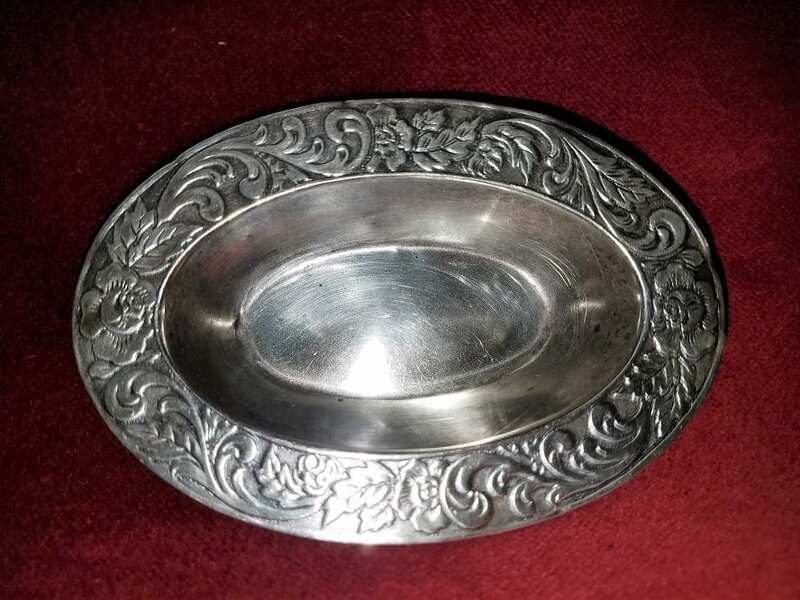 PRESENTING a BEAUTIFUL early 20th Century Vintage American Sterling Silver Ring Dish. From circa 1910 – 20. 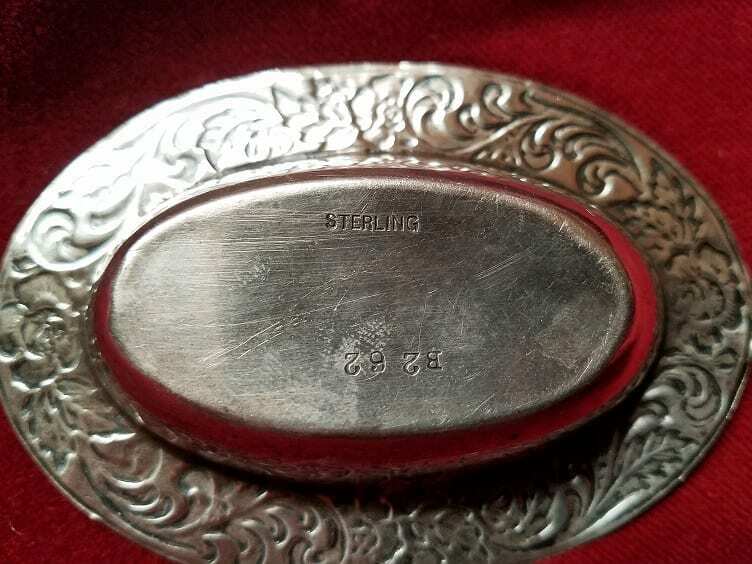 The makers have not marked it…but…it is marked ‘Sterling”….B262. Lovely floral repousee work on the rim. Possibly by Reed & Barton. Reed & Barton is a prominent American silversmith manufacturer based in the city of Taunton, Massachusetts, operating between 1824 and 2015. 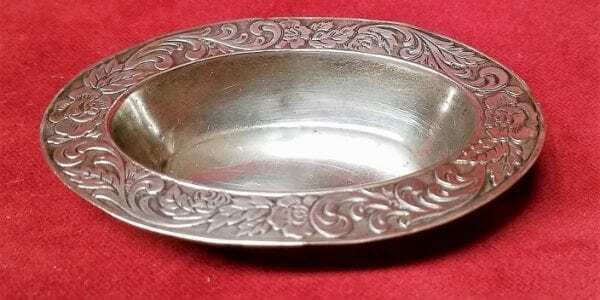 Its products include sterling silver and silverplate flatware. 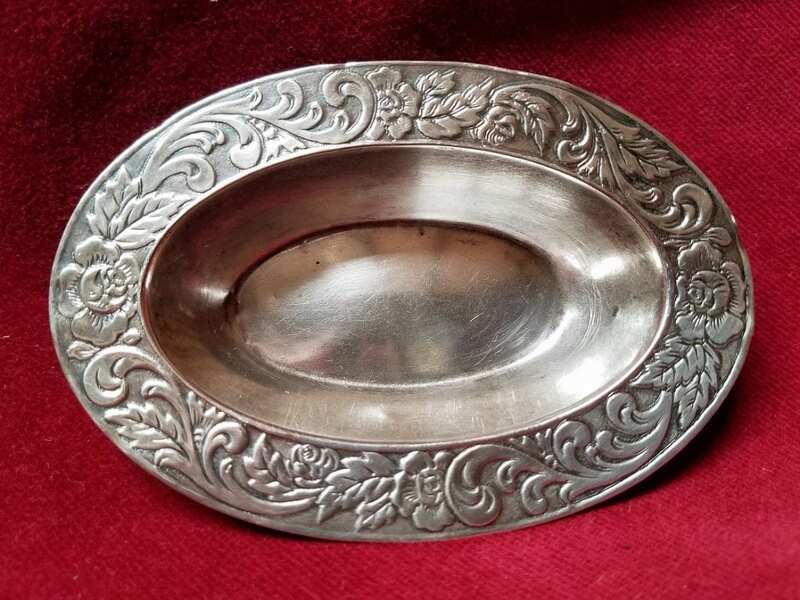 The company produced many varieties of britannia and silver products since Henry G. Reed and Charles E. Barton took over the failing works of Isaac Babbitt in Taunton. During the American Civil War, Reed & Barton produced a considerable quantity of weapons for Union Army soldiers and officers. 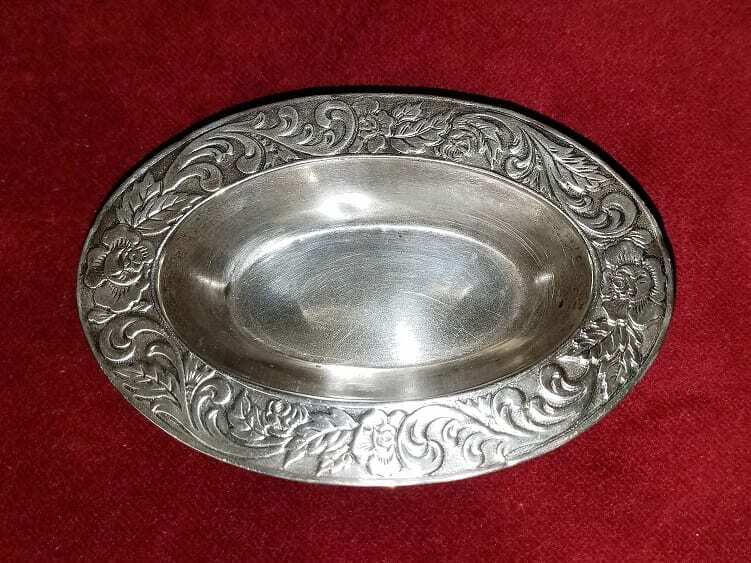 In 1928, Reed & Barton merged with silversmith Dominick & Haff. Reed & Barton was chosen to design and produce the official gold, silver, and bronze medals for the 1996 Summer Olympics in Atlanta, of which there are samples on display at the Old Colony Historical Society museum in Taunton. The company's products are used at the White House in Washington, D.C. Today, the company operates a factory store at the plant site, an outlet store at Wrentham Premium Outlets in Wrentham, Massachusetts, and an online store as well. Reed & Barton Handcrafted Chests, the world's largest manufacturer of handmade chests, cigar humidors, pen chests, and hardwood flatware. Miller Rogaska Crystal, handmade stemware. Sheffield Collection, a company started in 1908 and purchased by Reed & Barton in 1973. Everyday stainless steel flatware designed for durability (and modern conveniences like dishwashers). It is the exclusive American importer of Belleek Fine Parian China and Aynsley Fine English Bone China Tableware. The company's manufacturing complex in Taunton is listed on the National Register of Historic Places. Reed & Barton filed for Chapter 11 bankruptcy in February 2015, citing ongoing pension liabilities and decreasing revenue. 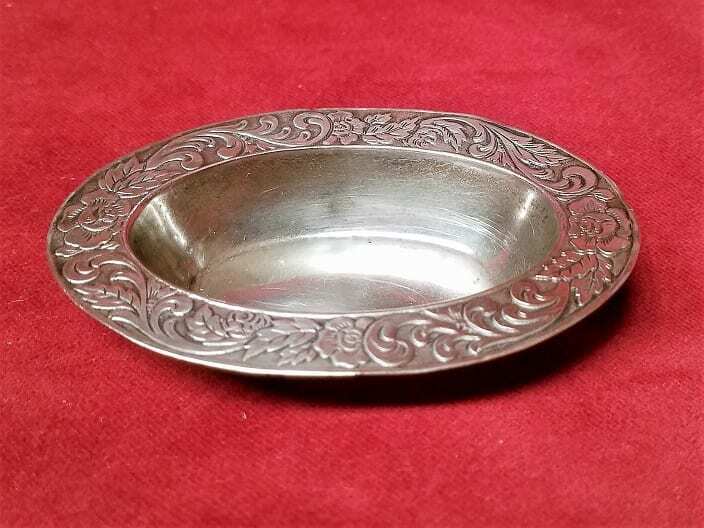 In a bankruptcy auction conducted in April 2015, the operating assets of the company were acquired by The Lenox Company, a competing maker of flatware and tableware. Provenance: From a Texas Dealer's Private Collection. Condition: Some minor dings....as to be expected from its age.